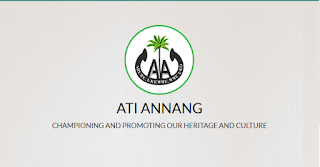 Ati Annang Foundation (AAF) Scholarship List of Shortlisted Candidates for 2018/2019 Scholarship Award Has Been Uploaded Online - Download in PDF. This is to inform all candidates who applied in the Ati Annang Foundation (AAF) 2018/2019 Scholarship Foundation that the List of shortlisted candidates has been published. The List contains the names, address and phone numbers of shortlisted candidates in various Local Government of Akwa Ibom State. Click here to download list in PDF Here. Congratulations to all Ati Annang Scholarship Beneficiaries for 2018/2019. Please when will the names of the successful candidates who sat for the Ati Annang scholarship be released? From the information reaching us, the list will be released this month March, 2019.